Doe Cross has found the perfect balance between art and nature. 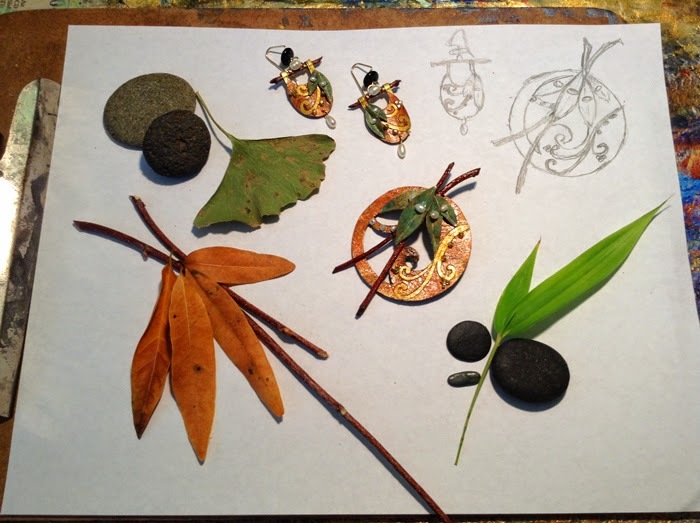 Using a combination of handmade paper, found objects, wood, paint, pearls and even text, Doe's distinct jewelry clearly embraces the timeless beauty of the environment. We asked Doe for a peek at her studio, which looks, not surprisingly, like the ideal artist's workshop with a pretty magnificent view of nature. A. My home studio is located in the unconventional town of Fairfax, CA which is approximately 40 minutes NW of San Francisco in Marin County. A. I was drawn to this location and space because of the beautiful natural environment, the ability to find almost everything you need within walking distance and the varied population that has an abundance of creative people and artists of all kinds. A. 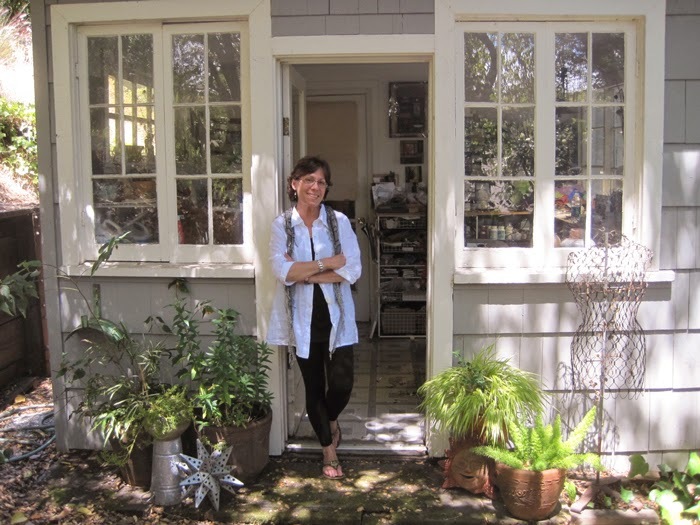 What the look of my studio says about me is that I am a working artist and designer, a collector of natural materials and found objects and a productive pack rat. A. 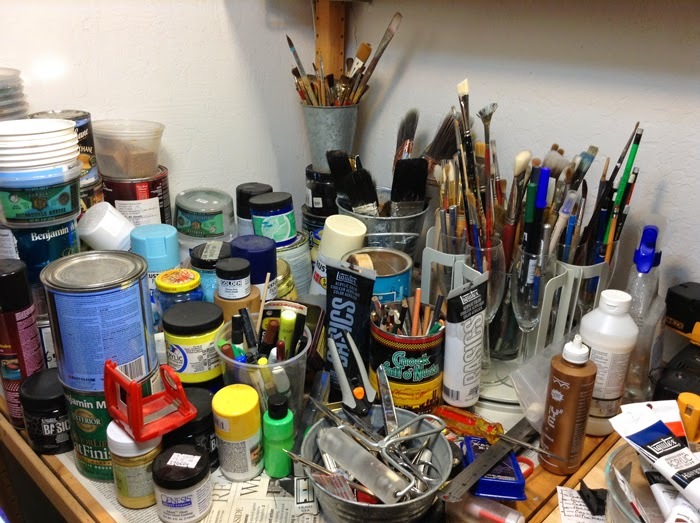 The three words I would use to describe my studio are, creative | harmonious | jumble. A. A typical work day for me begins at 5 a.m. After a sunrise walk in the hills above town I sit down to sketch out new design ideas and then move into office mode to take care of some of the business side of things and correspondence. 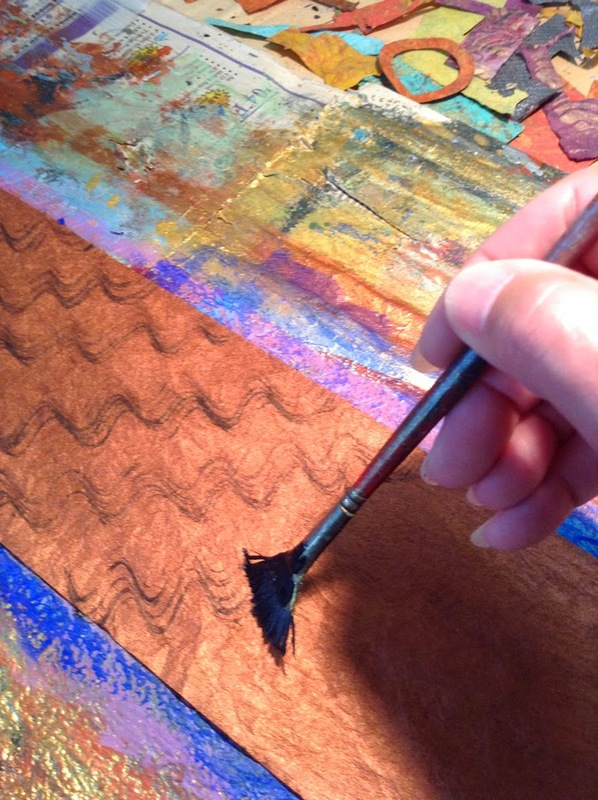 Then I'm in the studio to paint my papers and set to work on cutting, layering and collaging the pieces that will make up the jewelry. 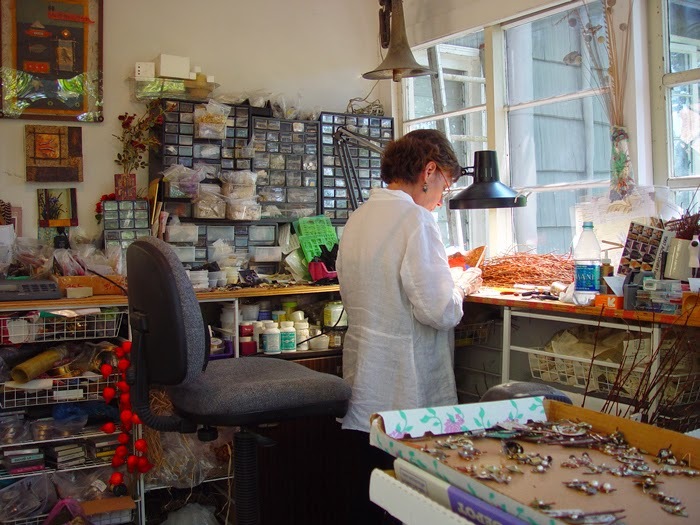 Because I am a one woman operation I roll between working on the paper, the jewelry pieces, the packing and shipping of orders and generally taking care of business. Later in the year when holiday orders are completed I work on replenishing my papers and developing new design ideas for the coming year. A. Since recently completing the holiday catalog order for the Art Institute of Chicago I'm now working on orders for several galleries in California as well as Alaska, Hawaii, Arizona, Santa Fe NM, Memphis TN and Portland OR. A. Inspiration comes easily to me from nature and focusing on the details and the balance found there. Thanks Doe! 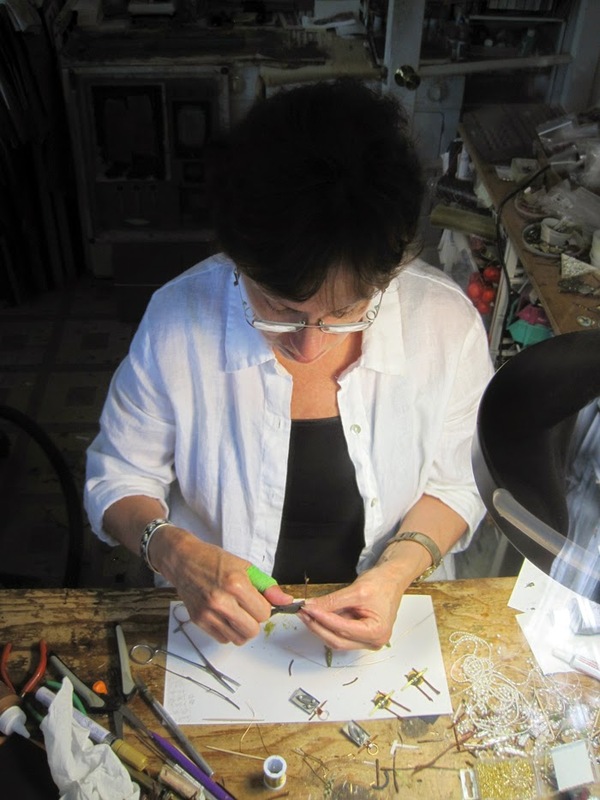 Click here to see all of our jewelry designed and handmade by Doe.